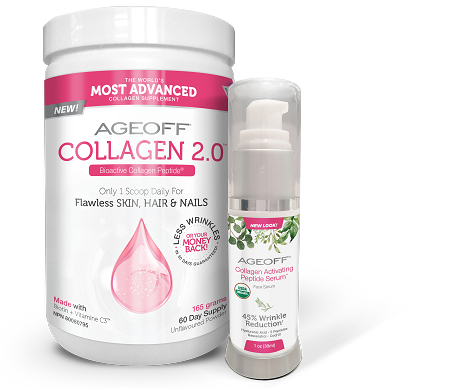 AGEOFF Collagen 2.0 & Peptide Facial Serum - BEST HEALTH EXCLUSIVE SAVINGS! 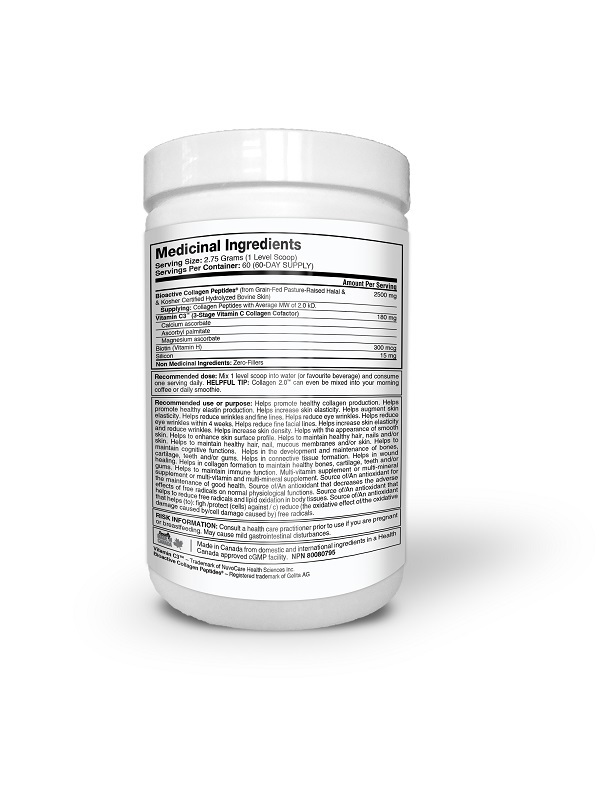 WHAT IS IN COLLAGEN 2.0? 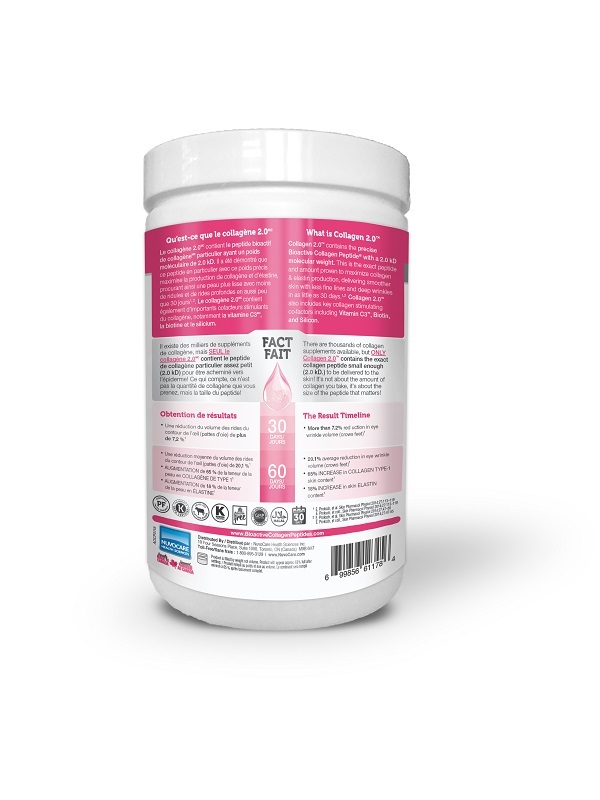 WHAT IS AGEOFF COLLAGEN PEPTIDE FACE SERUM? 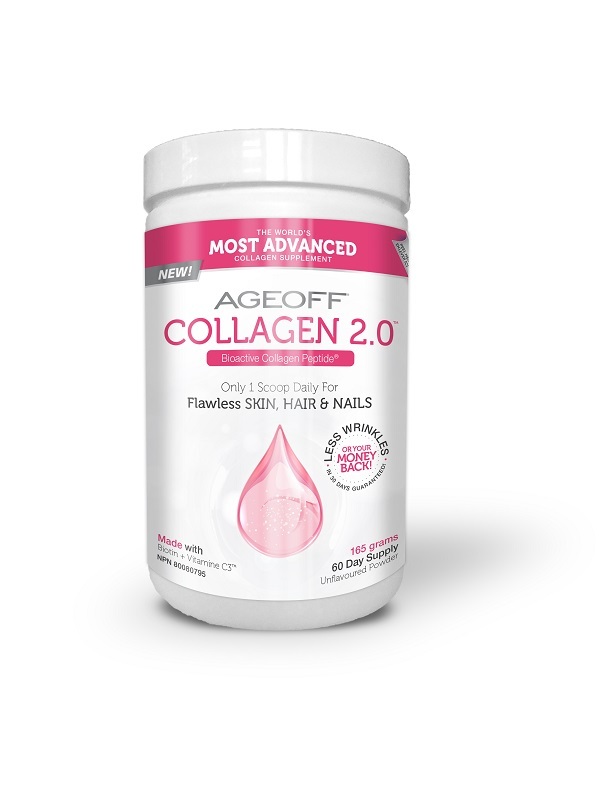 AGEOFF® has been clinically proven to permanently reduce wrinkle appearance by an average of 45% in just 56-Days† by stimulating collagen and elastin production and repair of damaged skin. 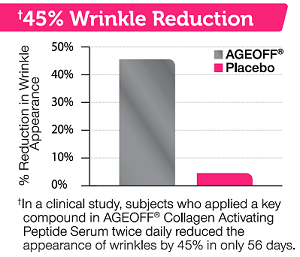 Recommended Dose: Apply AGEOFF Collagen Peptide Serum to dry skin both morning and night after cleansing. Apply 2-3 pumps of serum into the palm of your hand and apply to face and neck area. Massage serum into skin using smooth strokes until serum is dry. 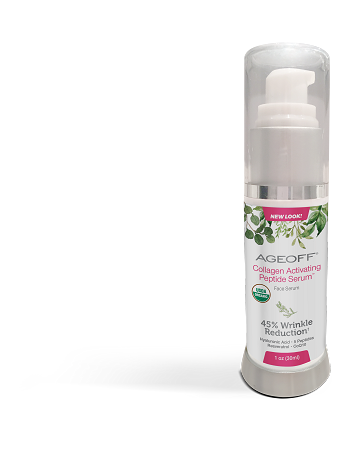 If using AGEOFF Instant, apply AGEOFF Instant first for immediate reductions in wrinkle appearance.